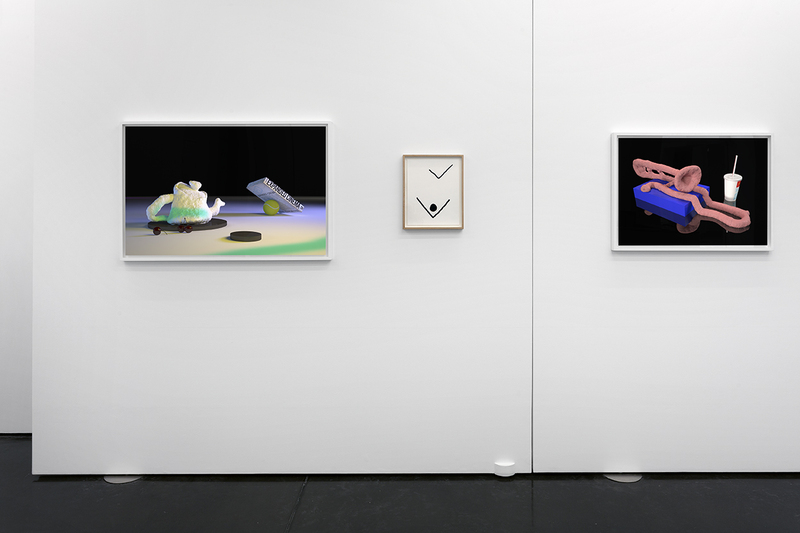 Second Nature is Takeshi Murata’s first individual exhibition in Poland. 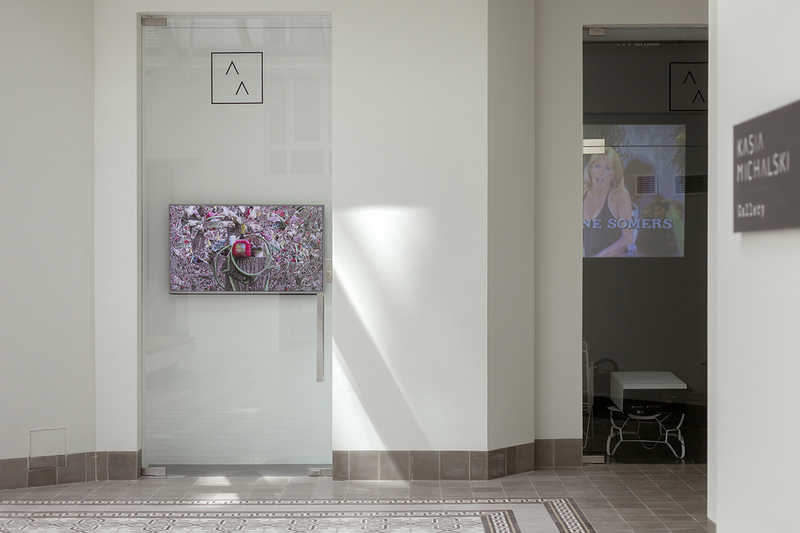 Showcasing a selection of works from the years 2011-2015, it sheds light on his adventurous artistic practice, exploring the intersections of the mainstream and the underground, the abstract and the hyperrealist, the familiar and the psychedelic, inviting the viewers into dreamlike cyberworlds. 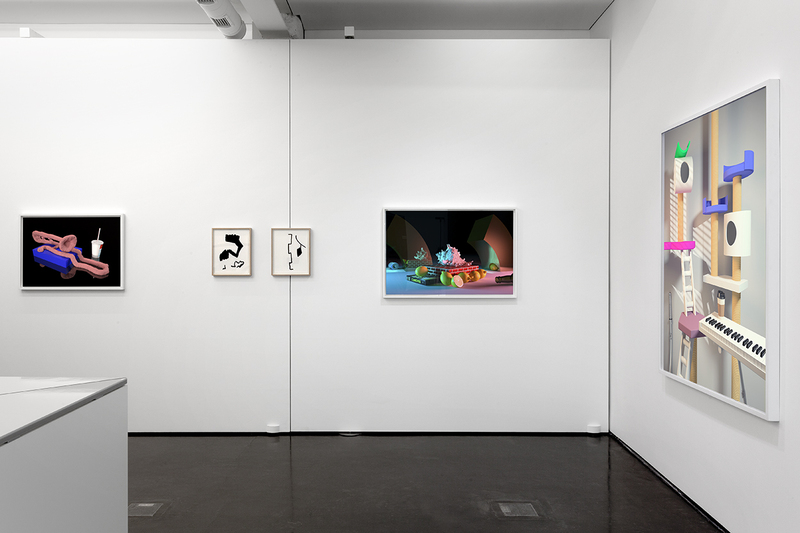 Opening the exhibition is a selection of sleek, digital still lifes, presented under suggestive titles: Condos, 2012, and Cyborg, Expanded Cinema, and Gumbone and Coke, 2011. 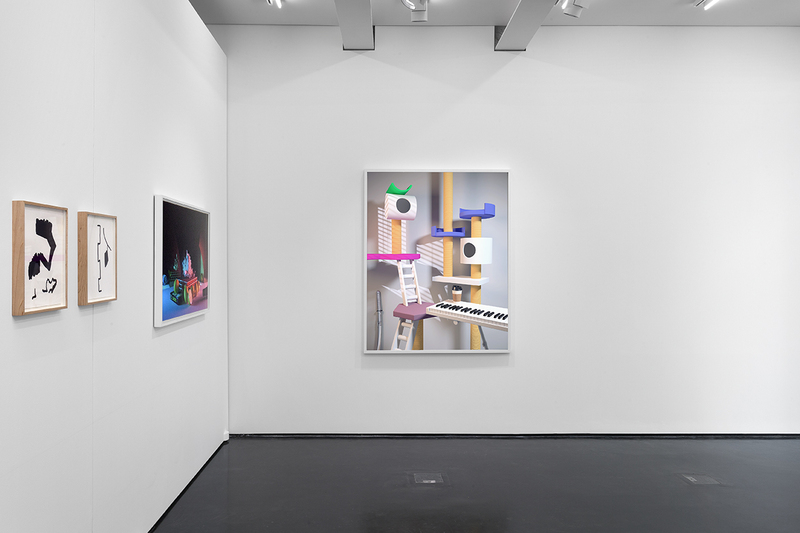 The improbable juxtapositions of objects, such as a katana and an electric piano keyboard leaning on a cat’s ‘condo’, or a pinkish silhouette of a trombone melting away in an undefined, dark space, evoke an aura of absurd, and refer to the artist’s immediate surroundings in his home studio. This theme is sublimated in a series of abstract, hieroglyphic drawings, rendered in Photoshop and silk-screened in black and white. These two bodies of work are juxtaposed together for the first time. 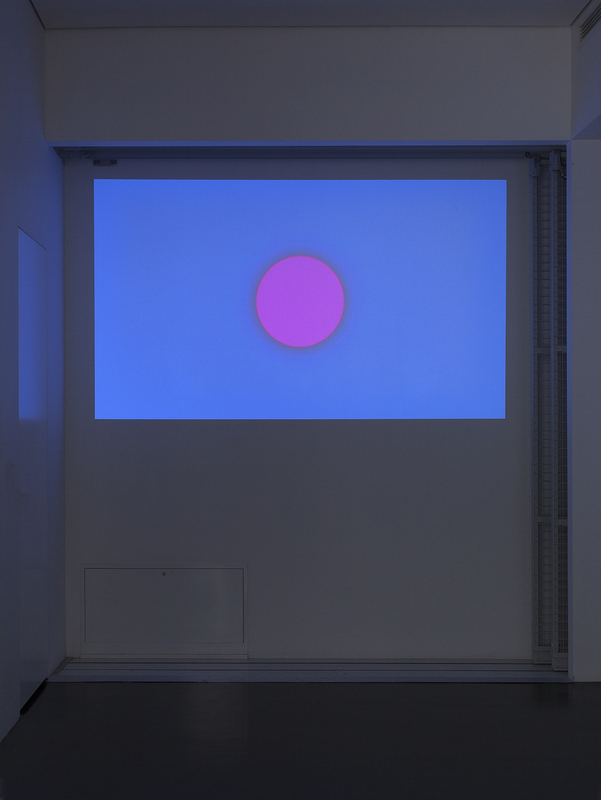 The exhibition continues with Murata’s most recent video, OM Rider (2013-14). The nightmarish 3-D animation features a scooter-riding werewolf and an excentric, gray-haired man, and resembles, at first sight, a video game cutscene. Its mysterious cinematic suspense is enhanced by Devin Flynn’s music, Robert Beatty’s sound, and C. Spencer Yeh’s voice. Murata, known for his mastery in handling new digital tools, leaves the audio side of his videos to the hands and ears of befriended artists. The highlight of the exhibition is hidden from direct view, behind a black curtain. 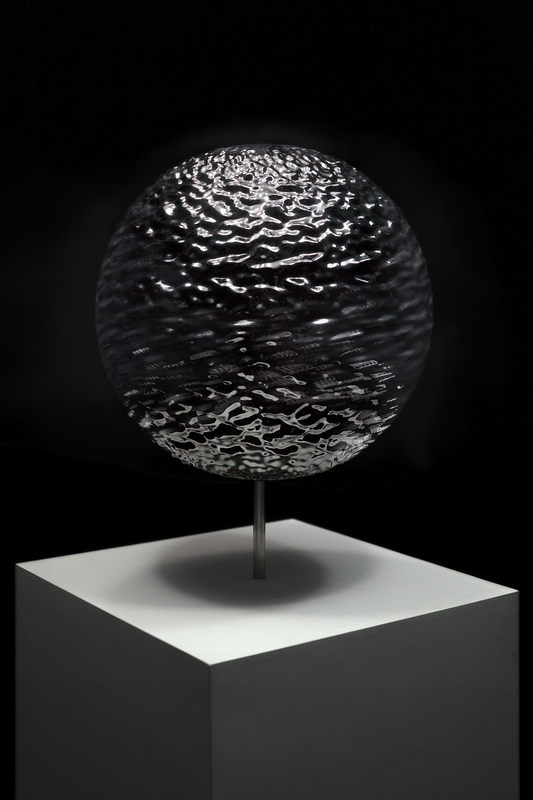 Melter 3-D (2014) is an illusionistic kinetic sculpture: the shiny, metallic sphere, showcased in specially constructed cube and lit by stroboscopic lights, seems to be liquidifying in front of our very eyes. 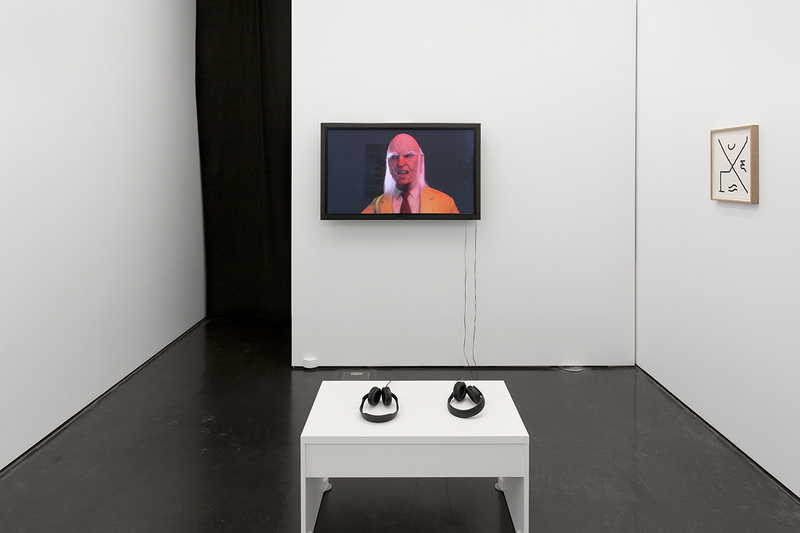 The show is concluded by a screening of seven video works, dating from 2003 to 2012. 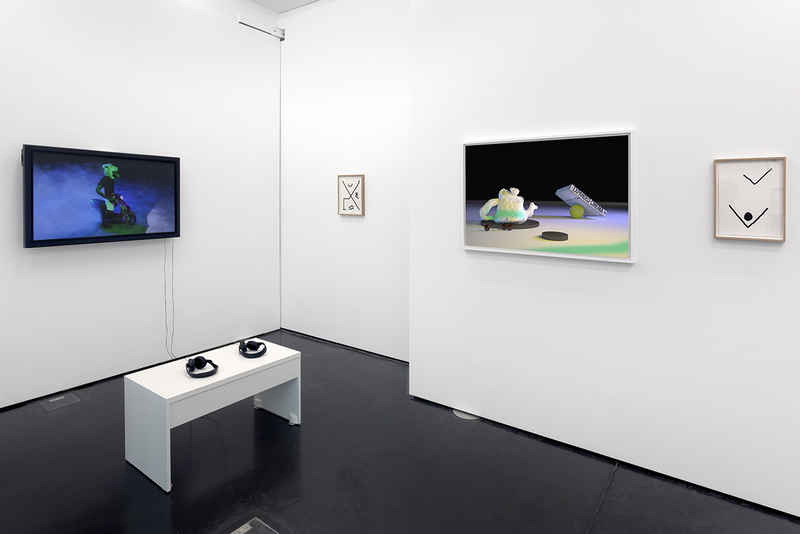 The tension between the palpable and the illusionary, perceived throughout the exhibition, raises the question of our relationship between the virtual and the real. Has the former become our Second Nature?